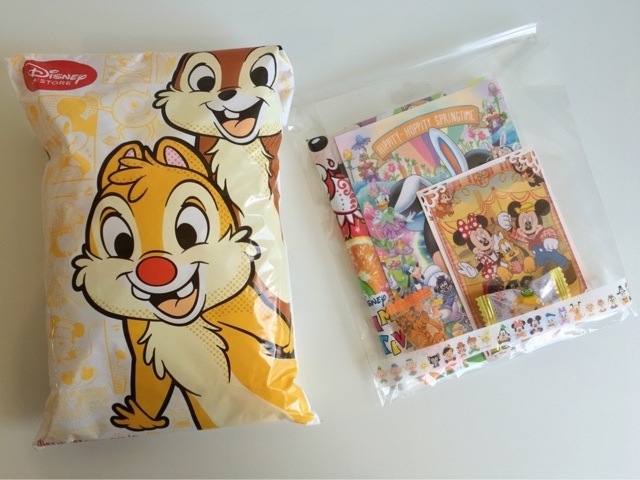 A couple of weeks ago I shared a mini (overdue) haul that I made from Disneyland Tokyo thanks to Tomoko a personal shopper. On that post I mentioned that I had made my second order, then on that same day I received the package in the mail. I was going to share what I purchased but then a couple of days later I placed a third order. 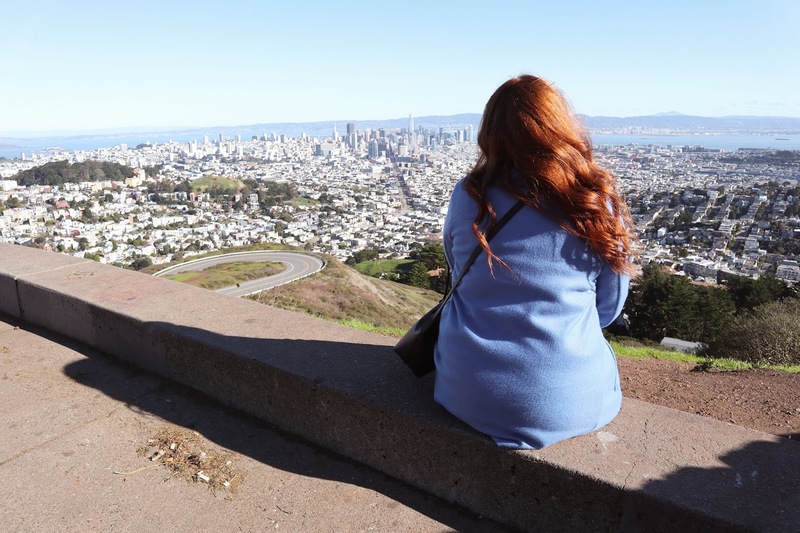 I had seen a few new things that I really liked and wanted to purchase quickly so that I could receive the order in time to take along with me on my trip to Disneyland last week. 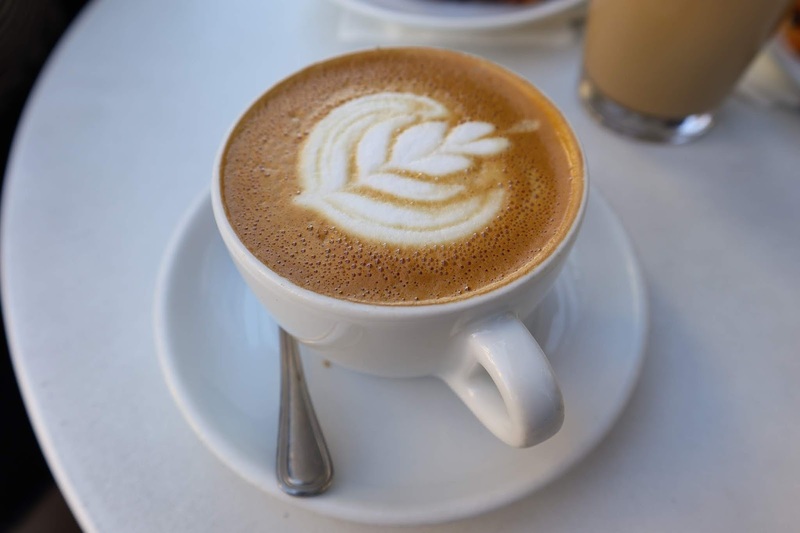 I decided I wanted to wait until I received the last order so I can just go ahead and share everything all together and that is exactly what I am bringing to you today! Like my first order I went about making the purchase through Tomoko. Ordering from her has been very easy hassle free and I always receive my packages within a week from when she ships out. She does everything very quickly. When I made my second order from her I only purchased two items. 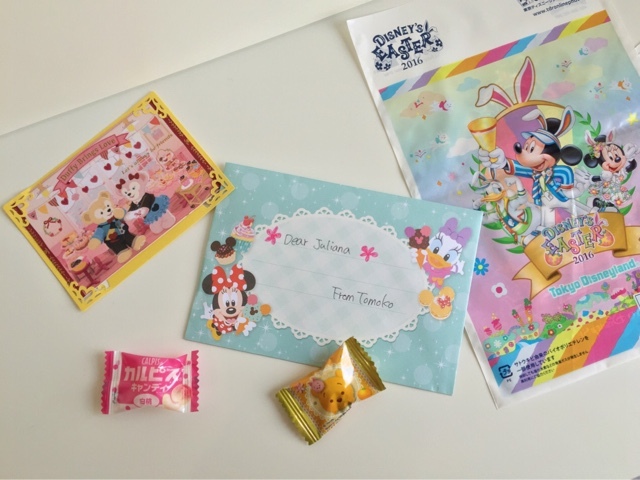 I've been loving making orders from her because like I mentioned on my first Tokyo haul it's so exciting that these are all authentic Disney Store and Disneyland Tokyo exclusive items. Once again the box came decorated with cute washi tape all around and it also came with a sticker from the movie Zootopia. 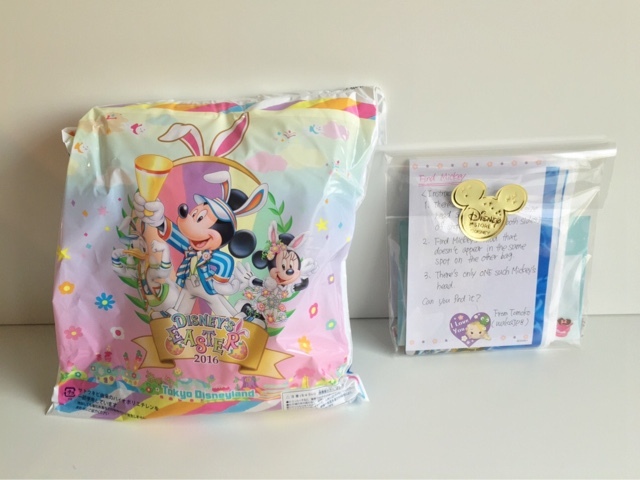 Once I opened up the box my items were in their cute Disney Easter bag and she had a little note for me along with some candies that by the way were really good! 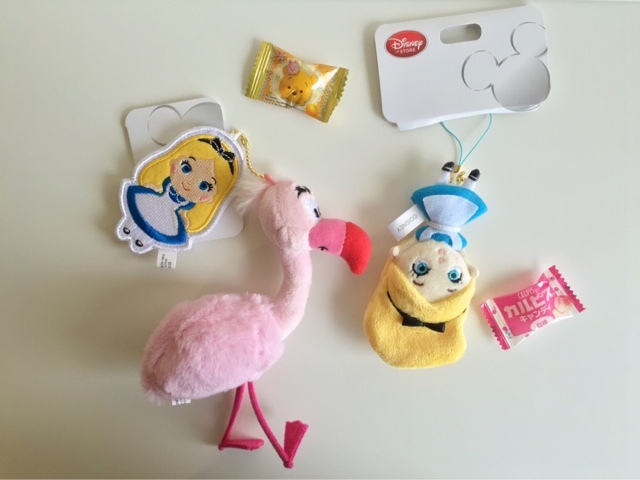 It believe that Disneyland Tokyo has a whole collection featuring Alice in Wonderland and the pink Flamingo because I've been seeing tons of different items with similar prints on eBay. So of course I had to order more Alice in Wonderland items haha. 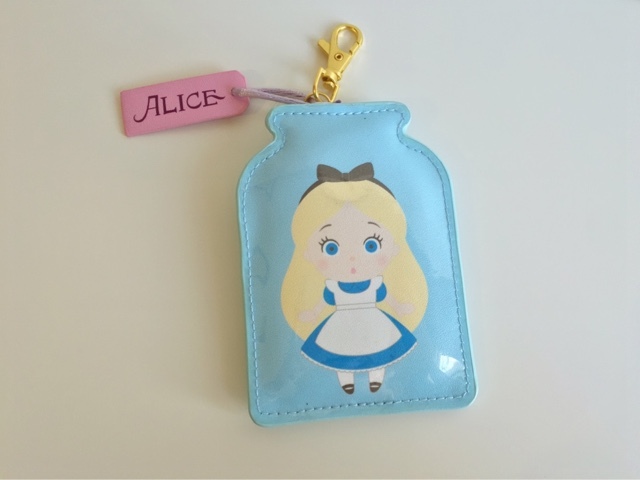 Everything is this post will be Alice merchandise because you can never have too many Alice items. I've been so obsessed with flamingos lately and I think its because of spring season and summer being just around the corner. Flamingos are everywhere same with pineapple and watermelon prints. Once I saw this item I knew it was for me! 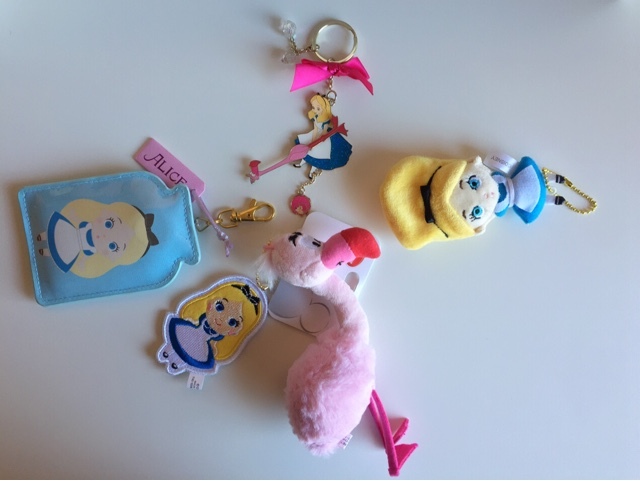 This is the pink flamingo plush keychain with a embroidered small Alice. 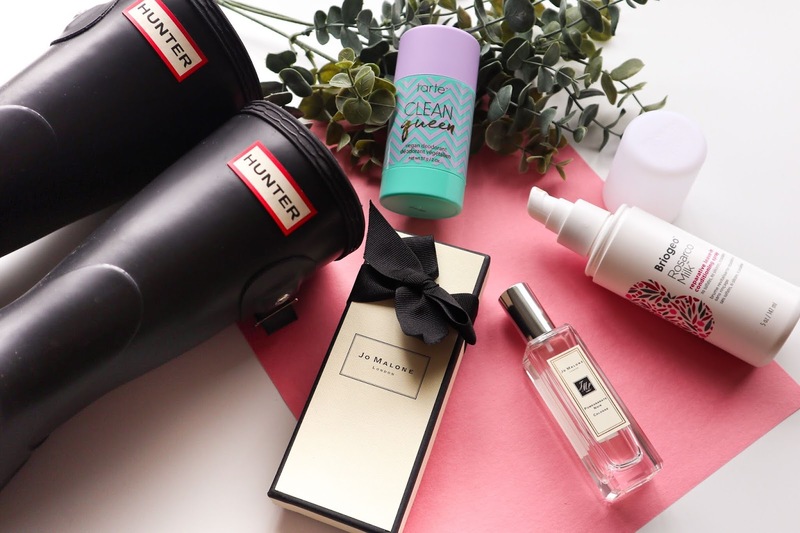 I'm going to say this about every single item in this post today! The flamingo is a pretty big size I love it and I love how they added the small Alice to this item they go so perfect together. On the back of her it says Alice in Wonderland. I am planning on wearing this as a cute little or not so little purse accessory along with all the other plush keychains I purchased from Tomoko. Now this following item is one that all of my friends that has seen it have been swooning over and you can totally see why. This is another keychain, and this one is the upside down Alice plush keychain. Now how adorable is this Alice?! I love this item so much, heck I love every items I've gotten from Tokyo so far!! 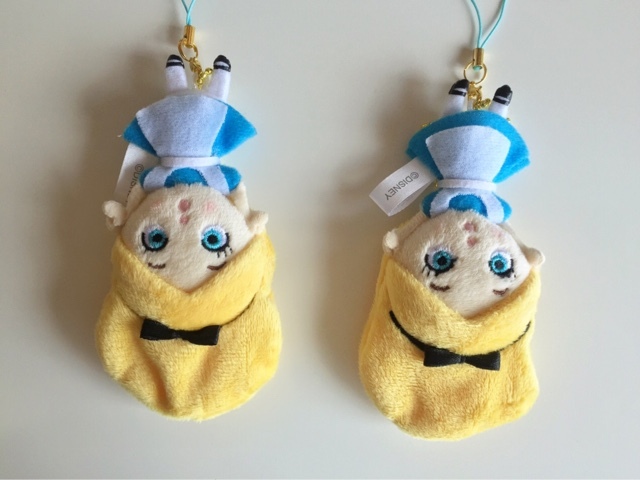 Disneyland Tokyo has some unique items and tons of Alice merchandise I want them all. They're so creative! This keychain reminds me of the scene when Alice was following the White Rabbit down the rabbit hole and goes tumbling down. It's so precious. 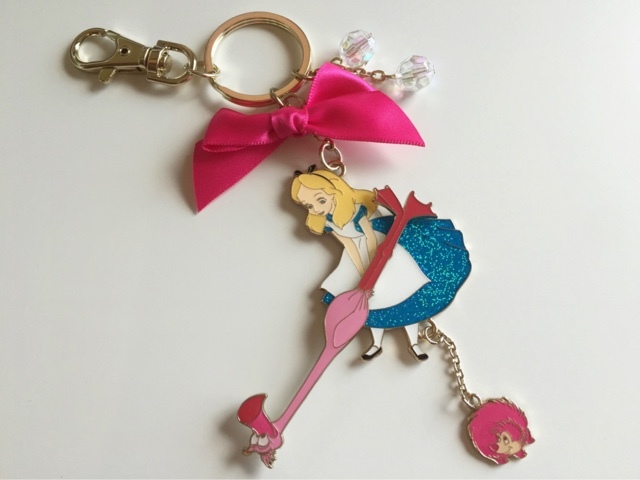 When I placed my third order I decided to purchase one more of this keychain with intentions of gifting it to my dearest and favorite Alice for when I was going to be at Disneyland a couple of days ago. Alice loved the little keychain I gave her on Tuesday. She was so excited to see it. The Mad Hatter kept saying her hair was huge and she said it was because she was going to a party. She's so cute! Now on to the third order from. This package was delivered to me so quick! Tomoko messaged me on a Friday morning to let me know she had shipped out my package and I received it in the mail the following Monday, now thats super fast. 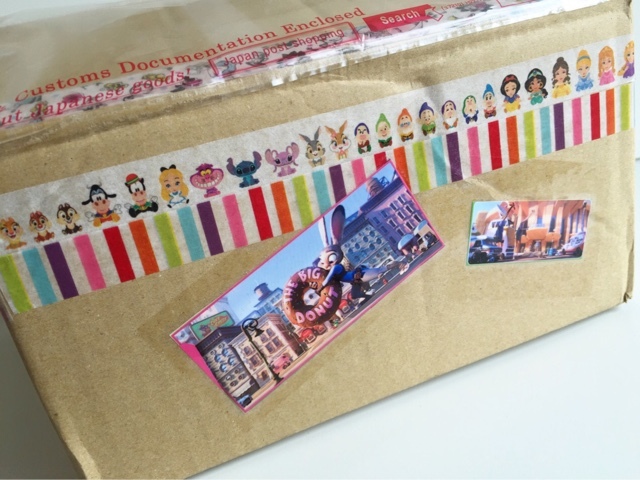 I love how she decorates the boxes with different Disney washi tape. It makes receiving the packages so much more exciting. 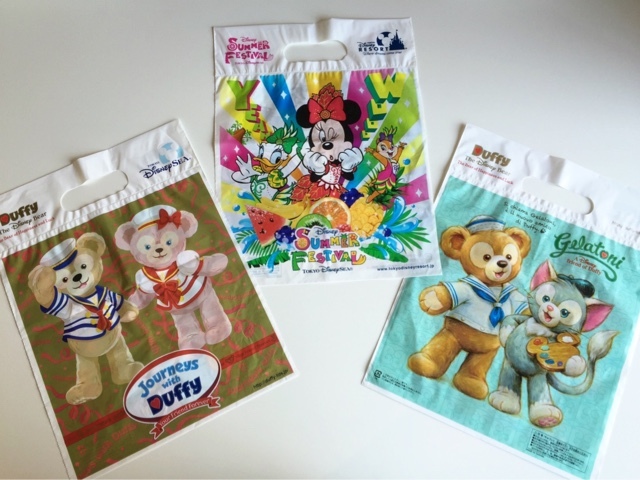 Once I opened up the package like usual she had note along with a few new plastic Disney shopping bags. I swear Tokyo just has the cutest things ever even their bags are the cutest. She added a few little candies like she did on package #2 and then there was the bag with my goodies. I ordered a total of three items but like I briefly mentioned above one of the items was for Alice. First item up is this adorable Alice in Wonderland annual pass holder. This is so cute it's in the shape of a bottle just like in the scene from the movie where Alice become super tiny that she fits into the glass bottle from where she drank from. 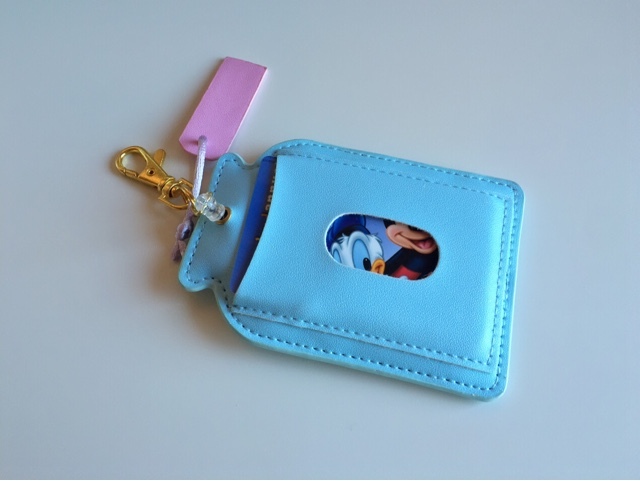 It has a little tag label that hangs on the side which says 'Alice' and on the back you just slip in your annual pass. 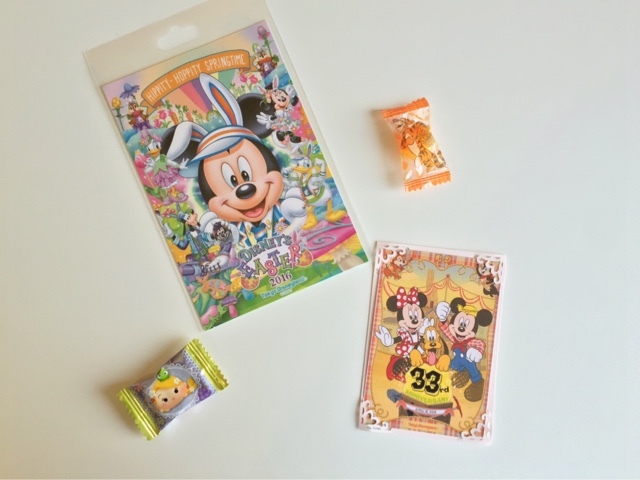 I had been wanting to get myself a annual pass holder from Tokyo for a while now because they're just so darn cute. Recently there was two that I had my eye on, unfortunately Tomoko was only able to find this one right here but it's ok because that just made my decision more easy. You don't need to only use this for a Disney Annual Passes I know that when I'm not using it at the parks I'll probably just use it to carry my debit card and license. The little gold hook on the very top is retractable with a stretchy string, so you can have that hooked to your purse and just pull it towards you for a easier access. Carrying this around at the parks really came in handy! I'm very happy to have this because I kept my annual pass in it and every time I needed my pass I knew exactly where it was and it was very quick and easy to access it. I also showed it to Alice she thought it was so cute and also mentioned how Japan has all the cutest things. 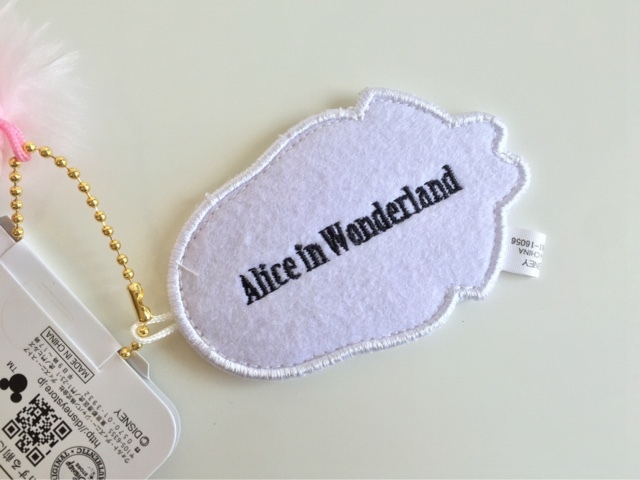 The last item for this haul is this stunning Alice in Wonderland key chain, apparently I have a thing for keychains haha. Clearly this keychain is completely different from all the others I have shared here because it isn't a plush. 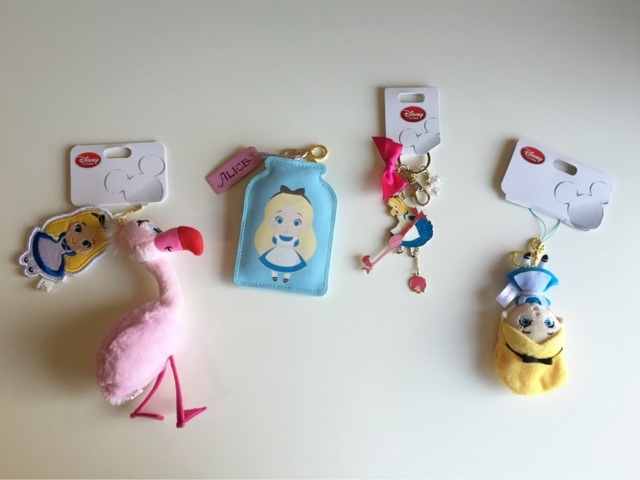 On this keychain there is Alice with the pink flamingo that she uses to play croquette just like in the movie and the matching pink hedgehog. I first seen this item on eBay and I was obsessed with it because 1. It's Alice 2. The flamingo I've been obsessing over and 3. Her dress is glittery. I really like how it even has a big hot pink bow, it completes the keychain so well because of the color of the flamingo and hedgehog. They keychain doesn't feel cheap at all its feels high quality and of course as soon as I got this I quickly added it to my keys. Im not sure how many times I said the word cute or obsessed in this post but can you guys disagree? This does it for today's haul, I'm anxious to see what new items from Tokyo I will soon see or discover and message Tomoko about next! This post was too cute! I need to start ordering from her, she seems like she really cares about her customers and the packaging. 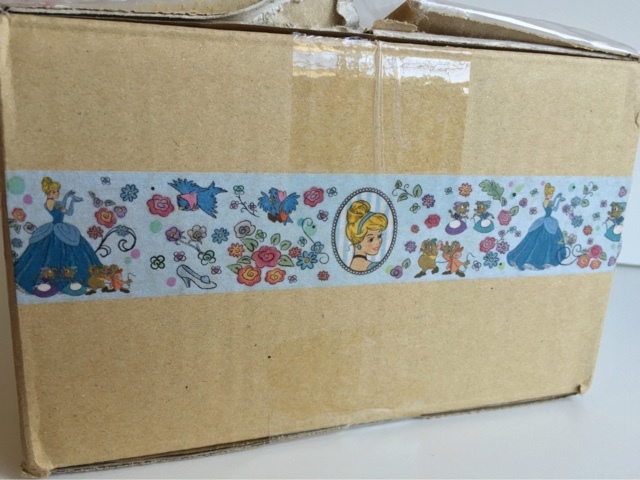 I love how she decorates the packages its so sweet. Yes contact her and you can just get a quote. I think her prices are fairly reasonable and that way you won't have to pay separate shipping costs like on eBay. These things are way too adorable.